be the catalyst for visionary, collaborative, trans-disciplinary initiatives that will enable the Canadian performing arts presenting eco-system to thrive in a digital world. The only requirements for joining the growing number of arts leaders participating in the Digital Innovation Council are curiosity, openness and a desire to contribute to the success of the arts sector in the digital world. For more information, contact Inga Petri or Frédéric Julien, who are the co-chairs of the Council. 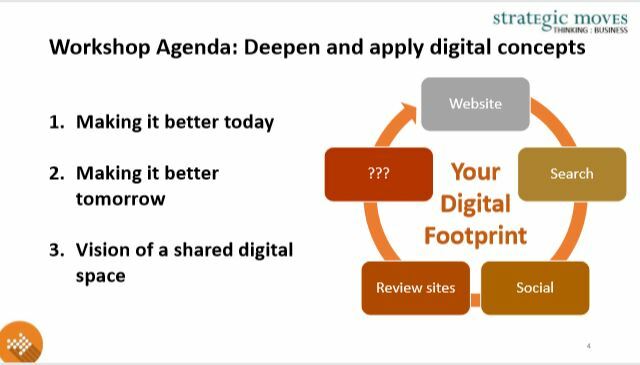 We have been holding online conversations over the summer to connect people and their projects with potential partners What’s Your Digital Project? We expect to continue this practice and invite you to contact us or follow us on Twitter (Hashtag #digilivearts) for the latest updates. Register to receive the web conference login information. We are convening an online update and sharing session on projects, ideas and ambitions for ground breaking digital initiatives, including reflections on the first round of funding decisions for the Digital Strategy Fund by Canada Council for the Arts that should be released before the online meeting. Download the Digital Innovation in Action by Inga Petri developed for the N3 Arts Presenters Summit that took place in Whitehorse, Yukon, March 8 – 11, 2018.This plenary session was delivered as a hands-on experience resulting in immediate actions for improving participants’ web presence today and tomorrow as well as proposing some bold future digital initiatives. Inga also demonstrated much of the material online. We hope to deliver this type of workshop across Canada, and continue to modify it to meet arts presenters and others where they are while advancing an action-oriented digital vision for powerful, self-determined presence of Canadian arts and culture in the digital world. 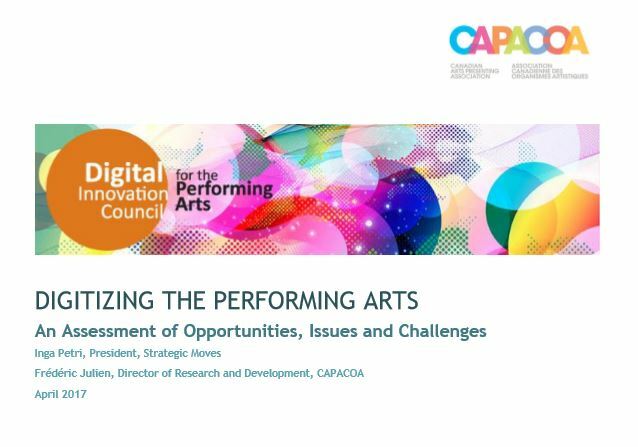 Since our initial explorations during The Value of Presenting: A Study of Performing Arts Presentation in Canada (©2011-2013; CAPACOA/Strategic Moves), we’ve worked to galvanize an important conversation about our digital future in the performing arts sector. In January 2015 Inga Petri (Strategic Moves) gave a seminal presentation at CAPACOA’s national conference on Breaking the Fifth Wall: Digitizing the Performing Arts. This presentation set out the challenges of the digital world for content providers and intermediaries and proposed a compelling vision of a digital future where the Canadian performing arts sector owns a new generation digital distribution platform. 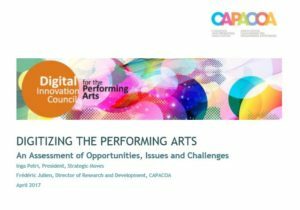 Interest in digital innovation and the need for a comprehensive study and, ultimately, a digital action plan, was solidified at CAPACOA’s national conference in November 2015, resulting into the formation of the Digital Innovation Council for the Performing Arts.